Stevens is now producing a Model 301 break-action shotgun designed to take advantage of Federal’s new Heavyweight TSS .410 turkey loads. The 301 Turkey is a no-frills single-shot .410 with a 26-inch barrel and 3-inch chamber optimized with an extra-full choke for TSS loads. Using synthetic furniture finished in either Mossy Oak’s Bottomland or Obsession pattern camo, the stock has a recoil pad and swivel studs. Weight on the simple but proven design is a hair over 5 pounds while overall length is 41.5-inches. The turkey gun is optic-ready with a removable one-piece rail but still sports a bead front sight that is compatible with TruGlo systems. For those who would rather step up to a beefier bore, the same model is also available in 20 gauge as well without changing the sub-$200 price. 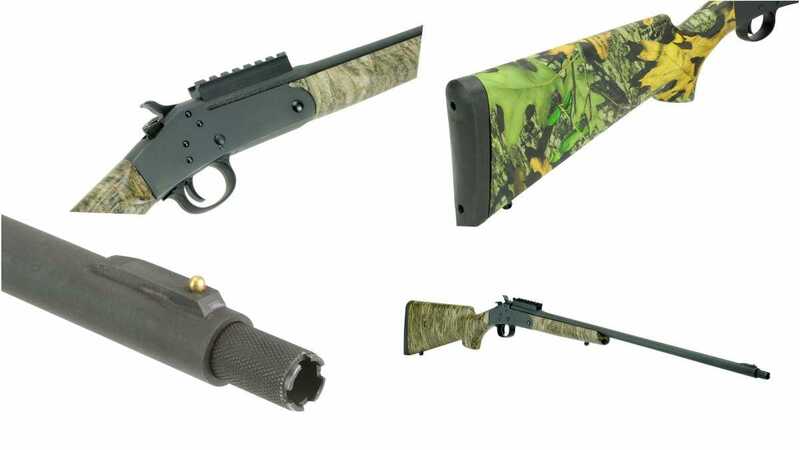 The 301 Turkey is offered in either Mossy Oak Bottomland or Obsession camo patterns with the same specs and price. The interchangeable choke is a 1/2-32UN Win. choke pattern.